Nokia සමාඟමෙන් නිකුත් කරපු බොහෝමයක් devices අතුරින් ප්‍රමුඛත්වයක් ගත්ත device එකක් තමයි, Nokia Lumia 525. 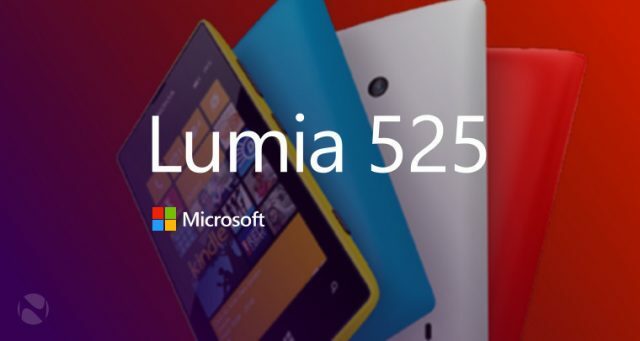 මේ smart phone එක නිකුත් කෙරුනේ Lumia 520 හි upgrade එකක් විදිහට ඊට අමතරව තමන්ගේ පුර්වගාමීයා වුන Lumia 520 වගේ දෙගුණයකක RAM එකක් Lumia 525 සතුව තියෙනවා. Microsoft’s Windows Phone operating system එක Lumia phone වල ක්‍රියාත්මක වුන බව ඔබ අප කවුරුත් දන්නවනේ. ඒත් දැන් developer කෙනෙක් Nokia Lumia 525 එකක Android 6.0 Marshmallow ක්‍රියා කරවන්න පුළුවන් වෙලා. ‘banmeifyouwant’ නැමැති XDA Developer Forum එකේ ඉන්න පුද්ගලයාට අවුරුදු 3ක් පරණ Lumia 525 එකක Android 6.0 Operating System එක side load කරවන්න හැකි වෙලා තියෙනවා.මේ සඳහා ඔහු device එකෙන් Windows Phone Operatins System එක සහ UEFI මුලිකාංගයන් සම්පුර්ණයෙන්ම ඉවත් කරලා ඉන්පසු , Qualcomm Little Kernel Boot Loader, TWRP හා TeamWin Recovery Project, Android Devices වලට තියෙන Custom Recovery Method සහ අවසාන වශයෙන් CyanogenMod Port 13 භාවිතා කරලා තියෙනවා. ඔහු මේ ක්‍රමයෙන් සාර්ථක ලෙස Android 6.0 Marshmallow මෙහෙයුම් පද්ධතිය Lumia 525 හි side load කරන්න සමත් වෙලා තියනවා. Wi-Fi, 3G වගේ සමහර features හරියට ක්‍රියාත්මක නොවූනත් Display එක බලාපොරොත්තු වුන විදිහට ක්‍රියා කරලා තියෙනවා. ඔහු installer සහ source code ලබා දෙනවා කියල තිබුනත් තවම ඒ සමබන්දයෙන් ස්ථිර ප්‍රකාශයක් කරලා නෑ. Lumia 525 මුලින්ම පැමිණියේ Windows Phone 8 සමග. එමෙන්ම එයට Windows Phone 8.1 වලට upgrade වීමේ හැකියාවත් තිබුනා. ආරම්භයේදී Windows 10 Mobile සමග Phone එක ක්‍රියාකරත් පසුව එය Microsoft සමාගම විසින් ඉවත් කරනු ලැබුවා. මීට මාස කිහිපයකට පෙර developers ලා දෙදෙනෙකුම Microsoft’s සමාඟමේ ඉතාපැරණිතම OS ඒක වන Windows 95, Xbox One මෙන්ම Apple Watch වැනි කුඩා device එකක ක්‍රියා කර වීමටද සමත්ව තිබුනා. Next articleWindows 10 Mobile Anniversary Update එකේ තියෙන අලුත් දේවල් මොනවාද ?